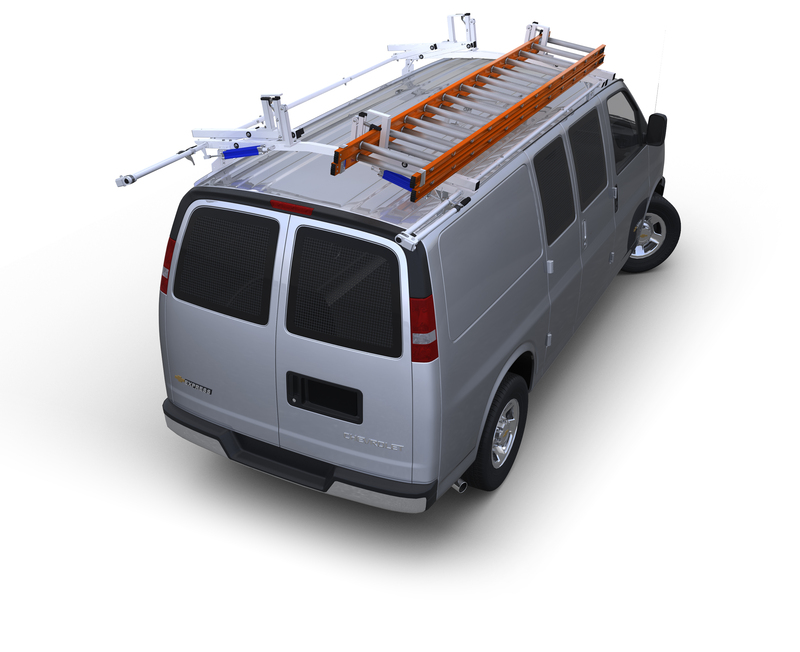 The Contractor Rig Aluminum Truck Rack was designed with you, the contractor in mind. Its heavy wall, large profile, rust-free aluminum extrusions provide outstanding performance in all work environments. The pick- up Trak is the foundation of the system and the only component bolted to your vehicle. Trusses and side beams complete the rig and boast the capability of an impressive 1,250 lb load capacity. Recessed T-slots on all mounting surfaces run along the entire length of the Trak making adjustability limitless while also accommodating the optional cab screen, tie downs, anchors, hooks and ladder stops. The rear truss can be completely removed within seconds. Ladder Life Anti-Wear inserts on each cross truss and your choice of 66 color inserts to complete this professional looking rack for your truck. Please specify year, make, model, interior bed length and color of accent trim strips to be provided when ordering. Fits all full-size pick-ups with short beds and standard cabs, and all compact pick-up trucks. The pick-up Trak is the only component bolted to your vehicle. It serves as a tie-down system and mounting base for anchors, truck boxes, and our patented Pick-up Truss. T-slots along the entire length make adjustability limitless. These two components complete the rack that boast an impressive 1,250 lb. load capacity. The side beams provide tie-down capability along the entire length of the rack. Three recessed T-slots along the truss allow unlimited positioning of accessories.